If you’re confused by banking and financial jargon, you’re not alone. In fact, most consumers have poor financial knowledge, and the secrecy that surrounds banking products does not help. That’s where consumer-friendly online financial site MyBankTracker.com comes in. Just like how Cardhub.com helps users to deciphers information about credit cards so they know which to choose, New York-based MyBankTracker.com provides a free, easy-to-use web portal that lets consumers rate and review banks, compare interest rates and learn more about the savings and investment options available to best meet their goals. 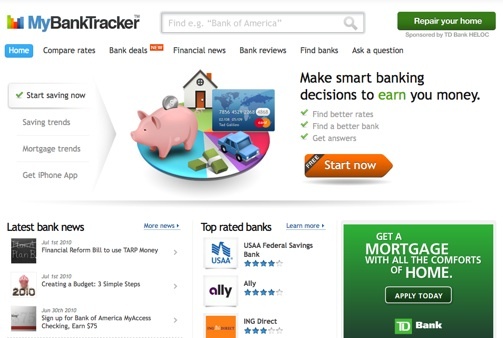 The idea for MyBankTracker began in early 2008, when Alex Matjanec and fellow co-founders Tadas J. Nikulin and Jason Reposa were developing online consumer interfaces for several major financial institutions, including Van Kampen, ING Direct, and TD Bank (formerly Commerce Bank), and saw a disconnect between the experience banks were providing as opposed to what they purported to offer consumers. It was then that they recognized a need to present banking information in a more consumer-oriented way. Their timing was also near uncanny – the financial meltdown and recession would hit the US just a few months later. Alex says that MyBankTracker aims to provide consumers a platform to ‘equalize banks’ by presenting information grouped under various criteria – tracking over 50,000 banking products – so that a consumer can use to find the best rates, to reading real consumer reviews to see if a particular bank is a fit. More information is provided through a daily news section, with “How-To” articles, as well as a “ask a question” platform, launched at the beginning of this year, where consumers can go to find answers on money questions from peers and the MyBankTracker community. Alex reveals that MyBankTracker – which gets over 200,000 unique visits a month – tends to attract users in their mid-20 to late-30s, with household income (HHI) of between US$75-125K. Its business model revolves around niche advertising partnerships, as well as providing competitive research services on bank products. One of its biggest achievements has been the company’s evolution from a concept to becoming a growth company it is today. “We’ve been profitable every year since we launched, and this has given us the freedom to take on new challenges and launch new features without the pressure that financial constraints bring.” Now this is all the more amazing because the company is fully self-funded, and has not received a single dollar in funding from outside investors. 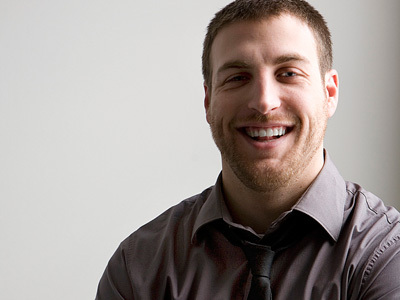 “MyBankTracker is 100-percent organically grown, and we are extremely proud of this fact,” Alex reveals. “Over time we have become smarter with our rollout strategy and created a checklist of deliverables (success factors) that need to be completed before introducing a new feature,” Alex adds. A philosophy the MyBankTracker team lives by in and out of office is: never make the next person’s job harder. “That way everyone is more productive,” explains Alex.